This week I received a request with a hosting review site called webhostingreviewz.com, this is my letter to someone calling himself Alex. Looking at the first 19 hosts on your blog (webhostingreviewz.com is powered by WordPress), there is a pretty clear reason why these hosts have your attention. Once again I don’t have a problem with Webhostingreviewz.com or other sites making money, but I have a problem with the methodology of webhostingreviewz.com and a clear lack of ethics. 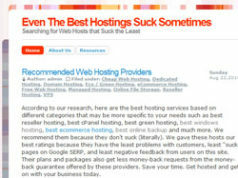 So why would webhostingreviewz.com want to partner with hosting-reviews-exposed.com? Despite my lack of work on this site (after all I do this in my free time), it has a some pretty good traffic stats in regards to many terms used in hosting, as well top spots on many top big and small hosts with search engines. It’s why many hosts have contacted me for a review, and just like webhostingreviewz.com they do not bother to see what this site is about. 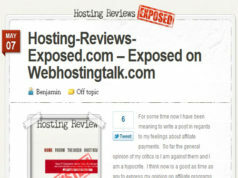 In short hosting-reviews-exposed.com is about exposing sites like webhostingreviewz.com that promote hosts for the sake of a payout. I am not sure why you have not read my blog, as clearly it would indicate that you should try to steer clear. The review site (webhostingreviewz.com) that you presented to me for partnership goes against everything that hosting-reviews-exposed.com stands for. Webhostingreviewz.com even proves my point that people with your mind set will do anything to make a buck even if it is unethical. For which I refer to your latest tweet. Hosting-reviews-expoosed.com is not my first site, so I am familiar with how sites grow. There are a lot of things that do not seem right with webhostingreviewz.com. Totaling all of your ratings together you have at last count 56. 54 positive and 2 negative. I have gone through the first 5 pages and the last 5 pages of your site and it seems that the reviews are limited to the first 4 pages. Nor does it seem that your site is entirely dedicated to hosting reviews, but also to reviews of web sites scripts (which in turn also have affiliate programs).The last comment appears to be around August 2011. 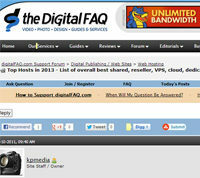 Due to the way you have posts set up on your blog I am not sure when the latest post is, as it seems you have posts in order of most comments which would be inmotionhosting.com. I see you have a post on Hosthttp, I first found out about them February 2011 (http://hosting-reviews-exposed.com/?p=1940), which I find funny the only thing negative you can say about them is they do not have background information on their site. They probable have limited details because they just started just weeks before they got on Webhostignstuff.com’s top 25 list. Since I first looked at your site, your Alexa score has dropped by 40,000. It was around 520,000 when I first looked. For so few negative reviews, I find it odd that your score is this low and dropping. But that might be explained away since I know services that I know that can drop your score down to 100,000 for $40 a month. I can assure if Google and other search engines find out you have done this they will remove you from their search engines. I for sure will report you if I find any of what I believe are true. 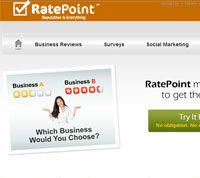 I find it amazing that less than 100 reviews webhostingreviewz.com has significant numbers in social media. But like Alexa there is a work around. Twitter, I think your first tweet for webhostingreviewz.com explains where all of your Twitter followers came from. One method I know of is where you have software that picks out other people that automatically follow other people. You can also of coarse buy followers on twitter. Also I don’t think it helps your seo to spam your jewlery site on your hosting review twitter account. Facebook, I find it hard to believe that you have 3,300 followers. 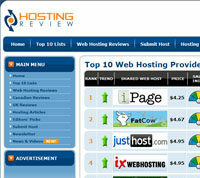 Seriously you have less than a 100 reviews on webhostingreviewz.com. Which last I checked you can find people on Fiverr.com that will get you 600 followers at $5. A lot of your content looks like it was regurgitated and respun material that comes from the hosts. I can’t count the number of ways you have stated in one way or another that how a host made 99.9% uptime their core mission. Yet your claims of a host being good lack any credible proof of use. Perhaps you used webhostingpad.com, as only two negative reviews as enough to justify banning them, even though you seem to think it was ok to still post coupon codes for their site. The grammar makes my pre morning coffee iPad post look flawless. Normally I am not one to point out grammar, but the wording for many of these are not even like me making mistakes of using then when I should have used than. Your video looks like it was done by someone on Fiverr.com. After all look at the little white bar on the bottom of the video, a lack of a company logo. If this was done in house it would not have been hard to remove the white line on the bottom and add a company logo. webhostingreviewz.com is a polar opposite to hosting-reviews-exposed.com. 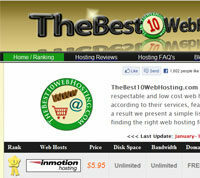 Which is why this site will not partner with a so called review site like webhostingreviewz.com.